In spirit of the new year, new engagements being planning, and upcoming Wedding Expos, I thought it would be fun to share this questionnaire! We have been enjoying finding out more about you and your wedding plans, so now you can get to know us better! Enjoy! With a blend of photojournalism and artistic creativity, my husband Sean and I are dedicated to creating and delivering a collection of story telling images for life’s amazing moments. 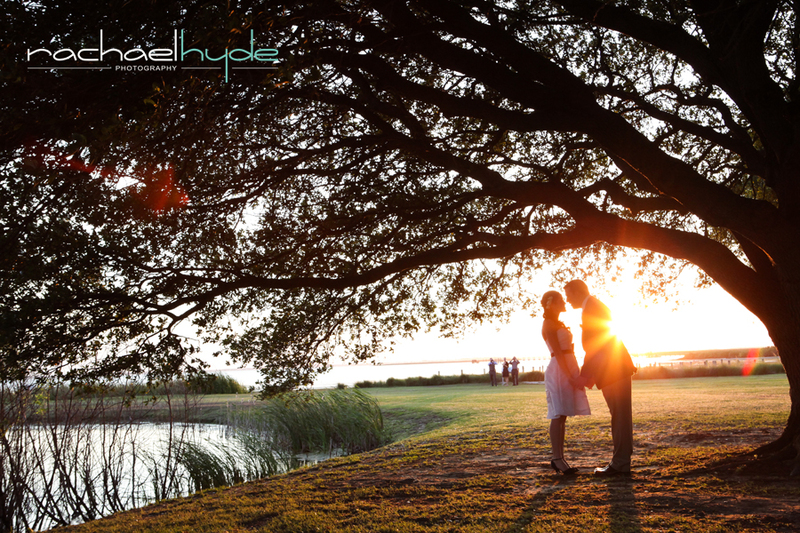 Our romantic, enthusiastic, and chic style makes every moment we capture unforgettable. We love stories. The photographs that can truly tell a story are of the un-staged moments that narrate our lives. Documenting emotions and events as they occur, quiet or loud, laughter or tears, is an exciting and rewarding challenge! The people and details of each wedding inspire creativity. A love story is always unique; to document this love, to be the storyteller, is an honor. We are passionate about connecting with people and documenting their stories. To every event, we bring our energy, creative ideas, and our unique way of seeing and capturing the moments around us. During childhood, I devoured every fairytale in the library, and upon getting my first camera at age six, capturing life’s moments soon became a passion. Through my journalistic studies at UNC Chapel Hill, I refined my skills as a documentary photographer and gained valuable tools and experience necessary to tell a story with only images. 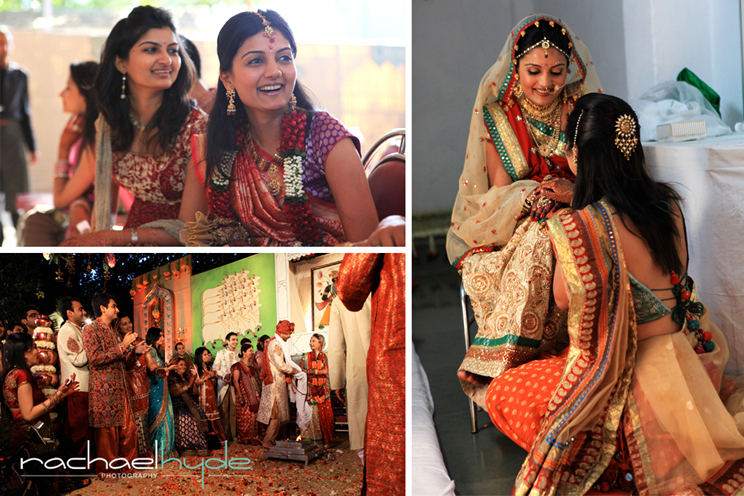 Capturing the enchantment of love stories transferred easily. How Long Have you Been in Business and Where? In 2005, after studying Photojournalism and Environmental Studies at UNC Chapel Hill, I returned to Manteo, my hometown, and started my photography business. Nine years later, Sean and I are an award winning husband and wife team. Having Sean start working alongside me in 2012 has been an exciting new step in our own adventure! 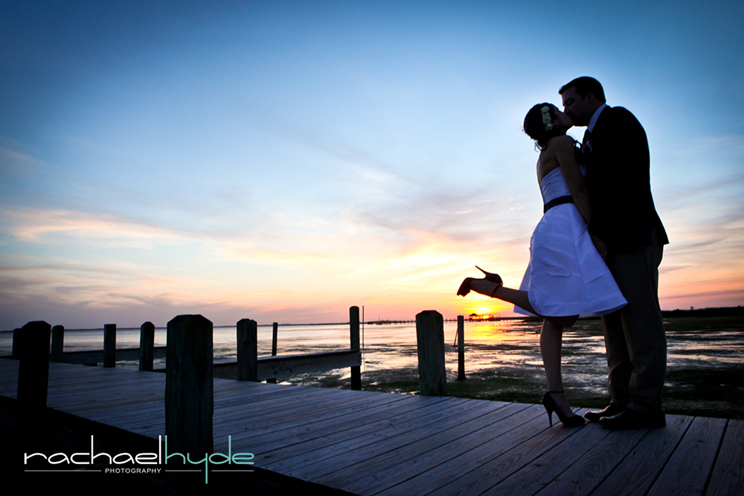 Although based on the Outer Banks, we travel throughout North Carolina and Virginia for weddings, engagements and bridals. We enjoy experiencing new places and cultures and are available to travel world wide for events. One of our favorite weddings to photograph was in Mumbai, India! Your Favorite Outer Banks Place? By the water and under the stars. Contemplating whether there are more grains of sand on the beach or stars in the sky. 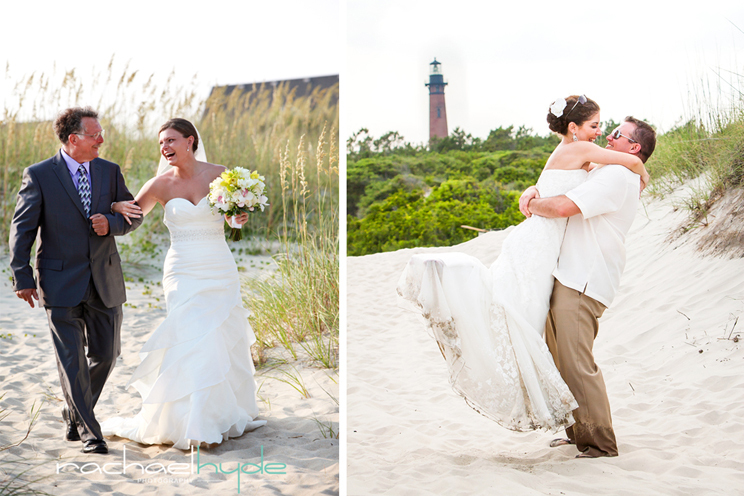 What is your Best Advice for an OBX Wedding? When your wedding day chapter comes to a close, you will have your love ones hand in yours, suitcases full of amazing memories, and your photos. 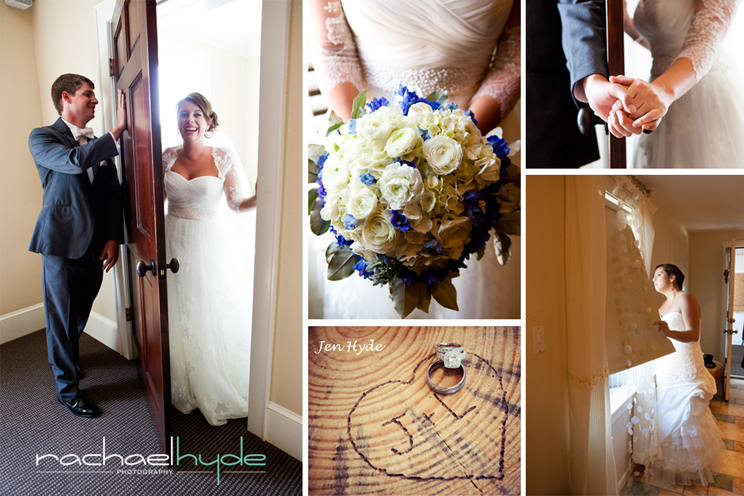 Be sure to choose a photographer who is a good fit for you, whose work, style, and visual perspective you admire! Also, have someone you trust to take care of the details, so you can relax on your special day!! The story of life and love. When not out exploring the world or looking through a lens, I enjoy cozying up to a cup of ginger lemon tea and good friendly rivalry of Banana Grams, taste testing Sean’s latest culinary dish, beach combing with our sweet nieces and nephews, cheering with friends while we watch our favorites teams: the Carolina Hurricanes and Carolina Panthers, encouraging orchids to bloom… and getting lost in a good book. For breakfast? My Austrian grandmother’s poppy seed strudel or a Boston Cream donut. For lunch? A good, hearty Irish stew. For dinner? The Panaeng & Yellow Curries that Sean and I had in Thailand. It’s not quite the same recreating at home!